You can click on View Page at the top menu to view your Promotion page. 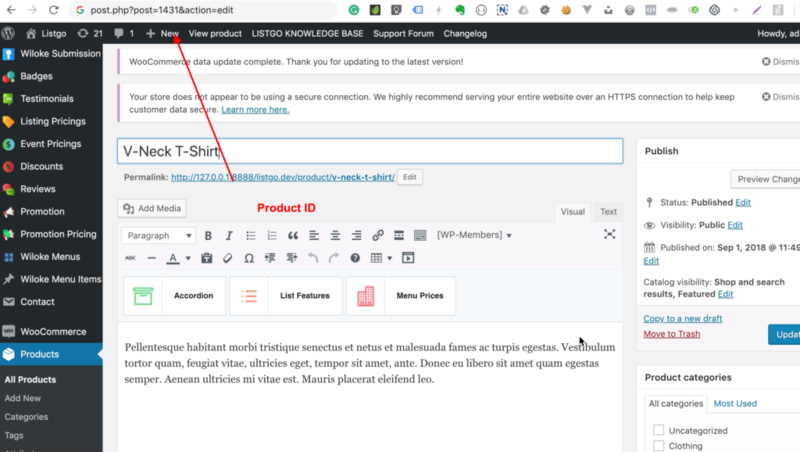 Sidebar Promotion: Click on Appearance -> Widgets -> Looking for Listgo (Promotion) – List of Promotion Listing to the to a Widget area you want. Under Listing Content: The promotion listings will be displayed under the Single Listing content automatically. Purchasing Promotion Plan via WooCommerce means the Plan now can understand as a WooCommerce Production. In other words, it’s the same Purchasing Listing Plan via the WooCommerce feature. 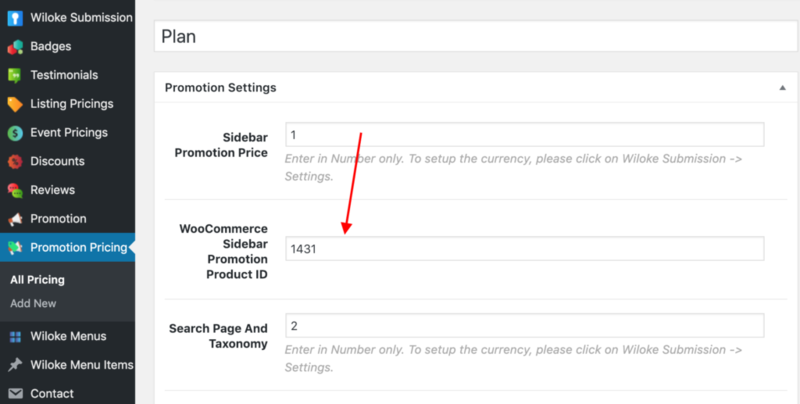 Click on Promotion Pricings -> Your Pricing (Click Add new if you don’t have any pricing) -> Enter Product ID that you copied at step 3 and paste it to a position you want.